New York, NY WW/Press/June 20, 2016 –Jan H. Brown, Principal Attorney with Jan H. Brown P.C. Law, was selected for inclusion in the forthcoming Top Attorneys of North America 2016 edition of The Who’s Who Directories. 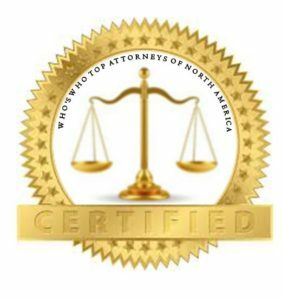 The accomplishments attained by Mr. Jan Brown, in the field of Legal Services, warrants inclusion into the Top Attorneys of North America. Jan Brown brings over thirty-five years of experience in the field of immigration law, understanding and meeting the needs of foreigners coming to the United States. He recently authored proposed legislation to stem the illegal practice of immigration law by unlicensed practitioners and has lectured on immigration topics as diverse as fiancé visas, examining and understanding immigration documents, non-immigration categories updates, National Visa Center procedures, and family immigration trends. Mr. Brown has also authored “The Uncommon Remedy-Common Law Marriage” published by Immigration Briefings, as well as numerous articles in support of his speeches. He is a senior editor of the Immigration and Nationality Law Handbook, long time editorial reviewer of Kurzban’s Immigration Law Sourcebook, and current Co-Chair of the New York State Bar Association (NYSBA) International Section, Immigration and Nationality Committee. Be the first to comment on "Top Attorney – Jan H. Brown"